To inspire lasting curiosity and stewardship with nature. 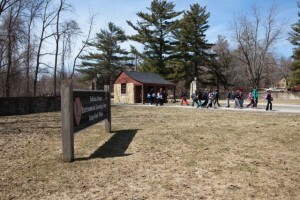 Founded in 1998 as an independent nonprofit education organization working in partnership with the National Park Service, Dunes Learning Center (DLC) provides opportunities for students and adults to learn from the unique ecology and history of the Indiana Dunes region. For 18 years, DLC has remained a consistent resource for students, teachers and those seeking a career in environmental education. For many of those years, DLC had remained a “best kept secret,” thanks to its obscure location inside Indiana Dunes National Lakeshore. In order to make the most of its mission to “inspire lasting curiosity and stewardship with nature,” DLC has increased its public visibility and achieved an even greater national reputation through brand building, an emphasis on outreach, and a focus on developing productive partnerships. This success is due to a number of factors, the first being outreach efforts made by Geof Benson, Dunes Learning Center’s Executive Director and Sandi Weindling, Director of Marketing & Development, along with the hardworki ng staff at DLC. Since joining Dunes Learning Center as Executive Director 3 years ago, Geof has made relationship-building an important part of his role, searching out partnerships and new ideas for projects and programs in the community beyond the park boundaries. In her role as Director of Marketing & Development, Sandi brought marketing and brand-building expertise to the organization. Among her many contributions, Sandi has helped to shine a light on the center’s work through digital media, annual reports, newsletters, and material s that communicate the benefits of hands-on learning in the dunes. DLC’s outreach efforts also include the addition of public open-house events—a strategy to increase familiarity and enthusiasm among the general public by providing opportunities to visit Dunes Learning Center’s national lakeshore campus, meet staff and sample programs. Additionally, a new, shorter mission statement was approved in 2015, along with a Strategic Plan that emphasizes Development, Education, Governance, and Partnerships along with measurable outcomes—a key difference from the 2008 Strategic Plan. Forming partnerships, a pillar of the Strategic Plan, is another contributor to Dunes Learning Center’s success. A National Park Service partner since it’s founding in 1998, DLC works in partnership with dozens of organizations including schools, municipalities, corporations and nonprofit organizations. Working alongside Indiana Dunes National Lakeshore and local Boys and Girls Clubs, DLC made it possible for 14-20 students to become junior environmentalists through job training and paid employment opportunities. Thanks to a partnership with the Flora Richardson Foundation and Duneland School Corporation, every 3rd and 4th grader from Duneland Schools benefits from environmental education experiences. Partnerships enhance professional development opportunities for DLC Naturalist Intern staff, which brings in 10-12 interns from all over the world to stay, learn, and teach others. 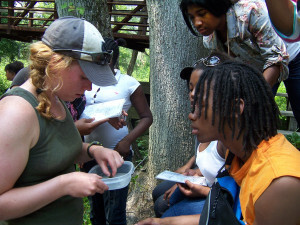 Less than twenty-five other residential environmental learning centers provide this type of internship in partnership with the National Park Service. These various strategies have been extremely successful in getting a great number of individuals involved with DLC. In 2015, 11,000 individuals learned from one of its programs, a 150% increase over the previous year. Offsite programs including, Mighty Acorns, Earth Force, Calumet is My Backyard, and Dunes To You reached 3,700 students in 2015, a threefold increase over two years—thanks to a partnership with The Field Museum and Shirley Heinz Land Trust. 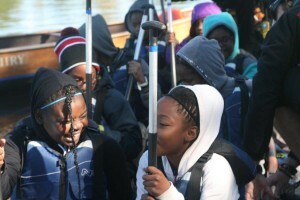 Within the Mighty Acorns program, 5,125 hours of stewardship work was done and 1,600 students paddled a canoe for the first time. As DLC’s reach has expanded, so too have funding opportunities—increasing numbers served and programs offered. Communication is key, through strategically branded marketing materials, as well as by leaders in the organization—with an eye to building support and enthusiasm around a clear and relevant mission. Invite and build on partnerships that serve your mission, programs and outcomes. Best-in-class internships/professional development programs that include a track to keep these well-prepared individuals within the organization.